Thomas Dunne Books, 9781250072092, 384pp. Winter, 1564. Beautiful young Princess Margot is summoned to the court of France, where nothing is what it seems and a wrong word can lead to ruin. Known across Europe as Madame la Serpente, Margot's intimidating mother, Queen Catherine de Médicis, is a powerful force in a country devastated by religious war. Among the crafty nobility of the royal court, Margot learns the intriguing and unspoken rules she must live by to please her poisonous family. 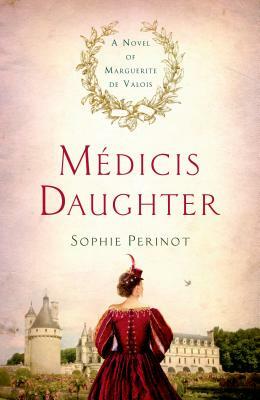 SOPHIE PERINOT is the author of The Sister Queens. She is a re-invented attorney. With a B.A. in History and a passion for reading, writing historical fiction seemed a natural second career. Sophie lives in Great Falls, Virginia with her three children, three cats, one dog and one husband. "A 16th-century princess, daughter to the sharp-tongued Catherine de Médicis, finds herself facing intrigue and impossible love... Her story is woven together with the run-up to and bloody events of the St. Bartholomew’s Day massacre, which forces her to make an impossible choice. "—Barnes & Noble Reads, "December's Top Picks in Fiction"
"Set in Winter of 1564, this page-turner of a historical fiction follows Princess Marguerite de Valois (known as Princess Margot) upon her arrival to the French court, where secrets, suitors, and scheming are all on the menu. "—Bustle, "13 of December 2015's Best Books to Go With Your Holiday Cheer"